A highlighted session image is added to a session in the Convene Manager. 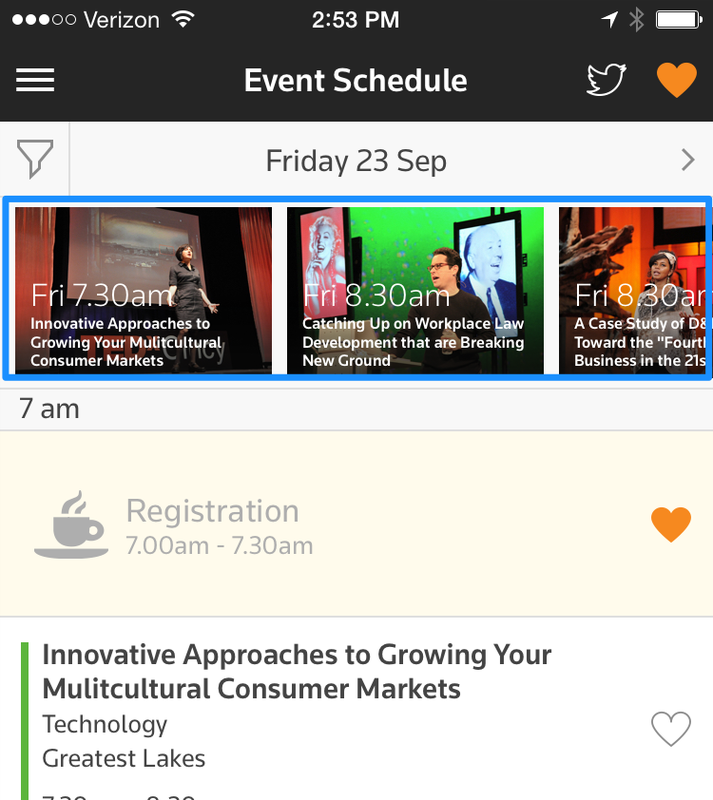 Doing so causes the Session it is added to, to be Highlighted across the top of Convene's Event Schedule as depicted below. This "Highlights Carousel" scrolls horizontally. It is only recommended to add an image to sessions that are important, such as those with a VIP speaker, a Keynote address, etc. Only add an image to a Session you want to call out, e.g., "Highlight." 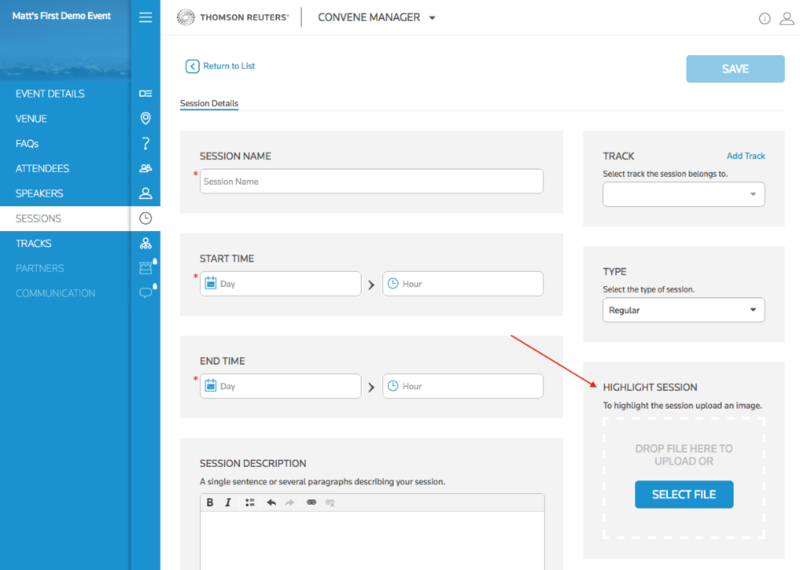 From Sessions section, add an image in the "Highlight Session" section as depicted below.